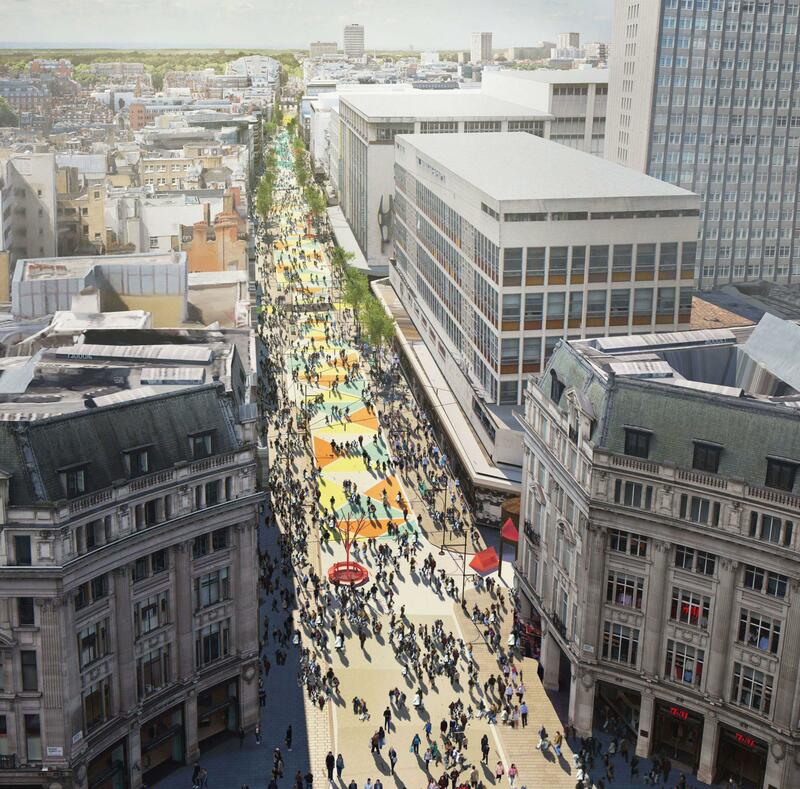 London Mayor Sadiq Khan has unveiled plans to pedestrianise the western section of London's Oxford Street. The proposal would see all east-west traffic restricted from entering Oxford Street between Orchard Street and Oxford Circus, whilst maintaining north-south routes through that section. The carriageway would be raised to be level with the existing pavements between Orchard Street and Oxford Circus during this first stage, making the area more accessible for everyone. Seating would be placed along the street to give people a chance to rest and spend time enjoying the area. 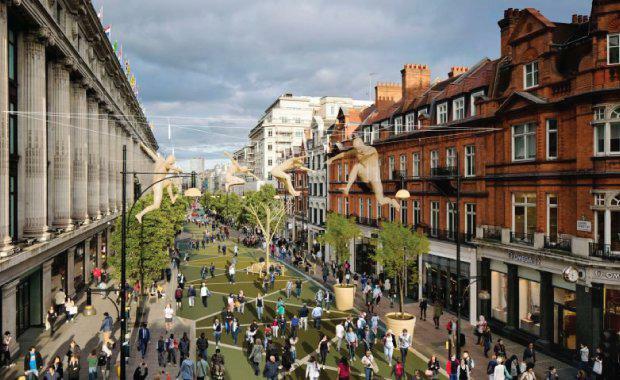 An 800 metre work of public art could also be commissioned for the length of the former carriageway, acting as a centrepiece for the transformed street. 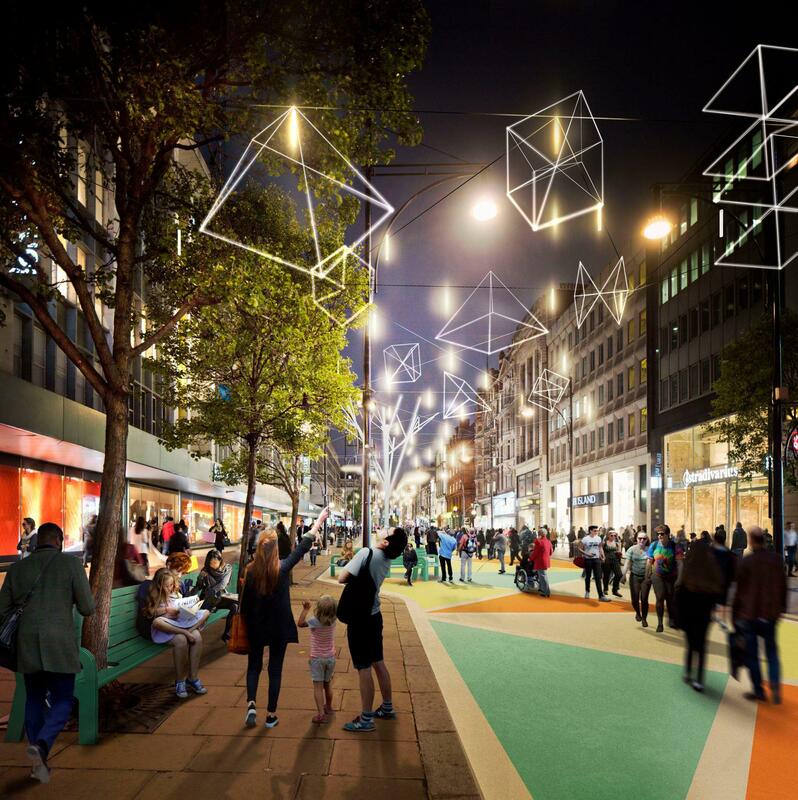 Oxford Street is world famous with millions of visitors every year, and in just over a year the iconic part of the street west of Oxford Circus could be transformed into a traffic-free pedestrian boulevard." “Whether you’re a local resident, a business, or shop in some of the area’s famous stores, our plans will make the area substantially cleaner and safer for everyone, creating one of the finest public spaces in the world. "Government body Transport for London said the vision was not simply to transform Oxford Street, but for the entire district. Cyclists would need to dismount when travelling along this section of Oxford Street, and new and extended taxi ranks would be created close to Oxford Street to allow Black Cabs to continue to pick up and drop off. When combined with other taxi ranks being built and extended across the wider area, this would see the total number of rank spaces increase by 20 per cent by 2020. As expected, the proposal has brought mixed feelings from the public. “It would be easier for local retailers and businesses because there will naturally be more pedestrians able to have full access of the road, which means more potential business," said one resident to Evening Standard. Taxi drivers, however have expressed concern regarding the future of business and potential fares that could be reduced with less need for vehicular travel. "We will continue to work closely with residents, businesses and Westminster Council to ensure the plans are the very best they can be, including investing in wider pavements, pedestrian crossings, more taxi ranks and further high-quality cycling infrastructure to support everyone living and working in the wider area," Mayor Khan said. New West End Company chief executive Jace Tyrrell said removing the wall of red buses from Oxford Street will reduce congestion and improve air quality – improvements which must also be capitalised on across Regent Street, Bond Street and the wider West End.